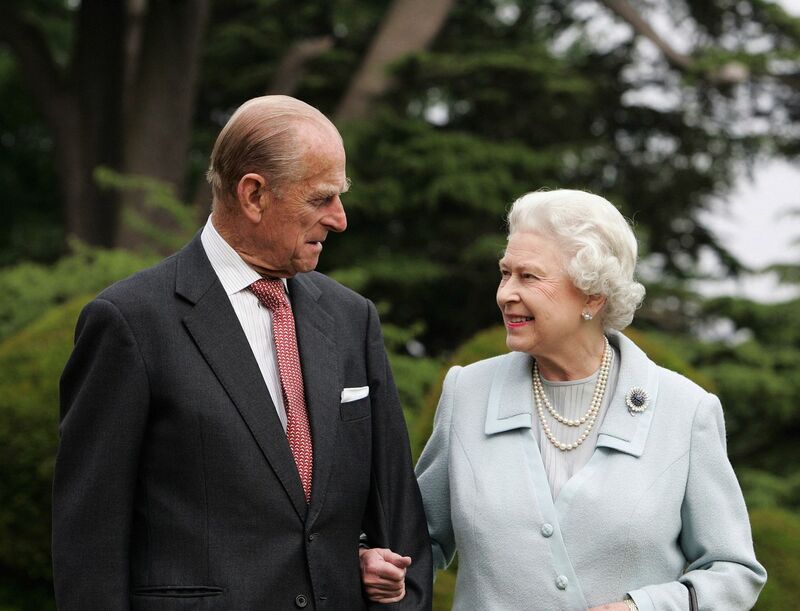 Photograph of HM The Queen (right) and HRH The Duke of Edinburgh in half length. Both the Queen and the Duke face each other, their arms interlinked. Taken at Broadlands, Hants. Queen Elizabeth II is the first reigning sovereign ever to celebrate a Diamond Wedding Anniversary. This photograph was taken at Broadlands in Hampshire, the home of Earl Mountbatten, where Princess Elizabeth and The Duke of Edinburgh had spent the first half of their honeymoon. It shows The Queen wearing the same brooch and necklaces that she wore on her honeymoon.